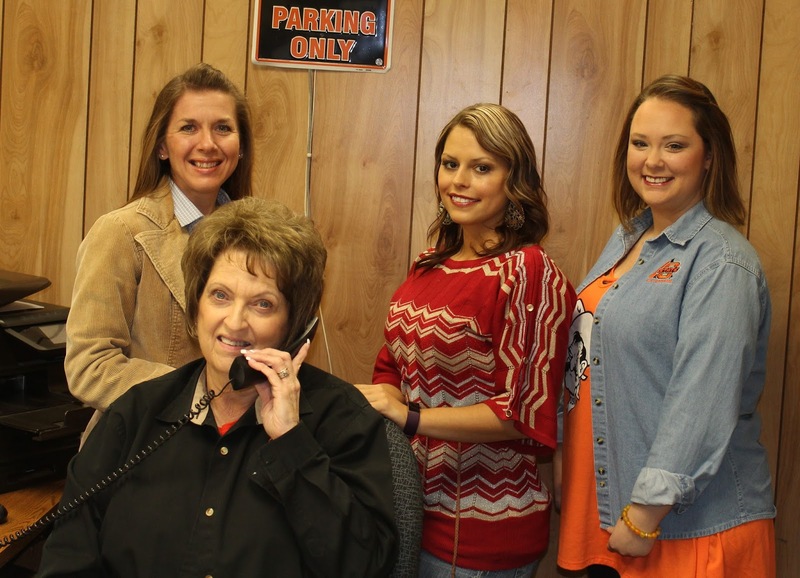 Jennifer Patterson, standing on the left, is Sequoyah County’s new Oklahoma State University (OSU) Extension Educator. She began in her new Sequoyah County post on Tuesday, and began in Adair County on Thursday. 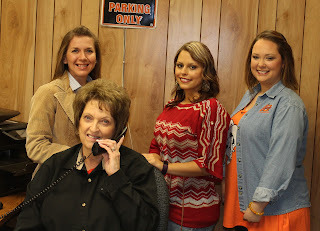 With her are April Cole, center standing, Sequoyah County Extension Director, and Ashley Davis, right, OSU Extension Director, Adair County. Seated is Rebekah Isham, Sequoyah County OSU Extension Service secretary. Jennifer Patterson, Sequoyah County’s new OSU Extension Educator, was introduced to Sequoyah County Commissioners at their meeting on Monday. Patterson will serve both Sequoyah and Adair Counties because funding for the service has been cut back. Patterson has an animal science degree from OSU, and a veterinarian technician certificate. She also teaches vet tech at Tulsa. “I’m really excited to get the position and I am looking forward to getting to know everybody,” Patterson said. Patterson will be spending most of this week in Sequoyah County due to the Sequoyah County Junior Livestock Show on Wednesday through Friday at the Sequoyah County Fairgrounds. Officials report entries this year are up considerably, with more than an additional 40 swine to last year’s numbers. Patterson and her husband have three sons, all of which are in 4-H, she said. The OSU County Extension Service provides instruction and practical demonstrations in Agriculture, Marketing, Family Consumer Science, 4-H and Youth Development, and Community Resources Development to all persons in the county.